When most people think of success, they think of the wealthy. They usually think of giant mansions, sprawling estates, private jets, and more money than any normal person would be able to spend. In this way, we can say that there are many successful people around the world. In fact, there were 1,1810 billionaires across the world in 2016, and around 15 million, millionaires. If we are using monetary value as a measurement of success, then we can safely say that these are the most successful people in the world. In the trading world, most successful forex traders work behind the scenes and away from the limelight, quietly building their profits. For a select few however, their exploits have gotten them fame. These famous forex traders have helped shaped the financial world and the trading industry with their trading and life philosophies and long careers of high financial performance. The top five of them, have gained this position through the incredible feats that they have accomplished in their careers, and the level of impact that they have had in the financial industry. The top forex traders in the world are a special few, because it is said that over 90% of forex traders fail. This means that the approximate percentage of successful forex traders is a mere 10%. In Forex successful traders are the ones that fit into this small 10%. The list of successful forex traders that we are about to discuss, surpasses this group. These are the elite. Taking the number 30 spot on Forbes’ Ranking of Billionaires across the globe, George Soros is perhaps the most most successful forex trader on the planet. Born on August 12, 1930 in Budapest, Hungary, he escaped the Hungarian Nazi occupation and fled to England in 1947 during the second World War. There, he attended the London School of Economics after which he began his business career by working at merchant banks, before forming his first hedge fund, Double Eagle. With the profits from his first year from Double Eagle, he formed his second hedge fund, Soros Fund Management. His first hedge fund, Double Eagle, was renamed as the Quantum Fund, an organization that over its lifetime has amassed a whopping 24.9 Billion in assets under management. 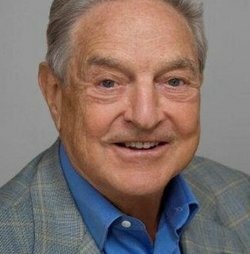 His second hedge fund, the Soros Fund Management has gone on to make profits of over $40 Billion in the last fifty years. He garned fame as one of the most successful forex traders when he earned himself the title “The Man Who Broke the Bank of England”, after netting a profit of $1 billion after he short sold $10 billion USD worth of the British pound sterling in 1992. This made him one of the few profiteers in the UK financial crisis, Black Wednesday. This trade cemented his place as one of the greatest traders of our time, perhaps even the best forex trader in the world. With a masters degree in Philosophy, George Soros broke the mould of how trading should be viewed, when he began to apply the Popper’s Theory of Reflexivity to the financial markets. Reflexivity is a social theory that speaks to the circular relationship cause and effect can have. (It means that cause and effect both affect one another.) This innovative way of viewing the market, gave him clearer insights into true market vs fundamental value of securities, the price discrepancies between swapping and selling stock and the problems of asset bubbling where the price range of an asset in trading was actually quite different from the asset’s actual internal value. With this insight, Soros adopted a way of trading as a short-term currency speculator who placed high leverage bets on the financial market direction. His hedge fund, has famously used macroeconomic analysis to form a global macro trading strategy. The strategy makes primary use of his view that the market fundamentals are directly influenced by individuals (traders) and their irrational behaviour. It is his belief that this irrational behaviour is the cause of boom and busts (sell offs, or buy offs) which provide opportunities for financial investment. (This can be plainly seen in the way that he brought about the Black Wednesday in the UK). Stanley Druckenmiller was born in Pennsylvania to a middleclass household in 1953. He began his investment career in 1977 at Pittsburgh National Bank where he quickly moved from trainee to head of equity research after only a year. Four years later, he formed his own company, Duquesne Capital Management. His track record skyrocketed thereafter, when he was named head of the Dreyfus Fund and even worked for George Soros at the Quantum Fund, participating in the event that “Broke the Bank of England”. This feat, earned him fame, alongside George Soros, and this fame grew stronger after he was featured in the book “The New Market Wizards” which became a bestseller. He later retired in from the hedge fund in 2010, citing reasons that it was taking an emotional toll on him not being able to perform up to his own expectations. (Up until that point the hedge fund had been raking in an average of 30% return yearly, without losing years. During the time of his announcement the company was reportedly bringing in -5% in returns.) The company after this, recovered its losses and brought a small gain, after which he returned his client’s funds and closed the hedge fund, admitting that he was worn down from the stress of constantly trying to maintain his previous performances. Given that Druckenmiller worked under George Soros, for a period of time (the highlight moment of his career in fact), it is therefore normal that they have similar methods in their investment approach. Druckenmiller uses the strategy of top down investments, and was instrumental to the deed that made Soros famous as the “Man Who Broke the Bank of England”. Unlike the usual investment advice that you will hear that diversification is the key to proper investment, Druckenmiller believed quite the opposite. He found his success using ‘concentrated bets’ on market direction (similar to Soros’ strategy). Essentially he believed in placing all your eggs in one basket. This indicated that he took only the best market opportunities where he was more than certain to win the trade. That being said, he believes that all trades should have an exit strategy. Yes, even the famous Black Wednesday trade had an exit strategy. Both Soros and Druckenmiller knew the amount that they could potentially lose before they made the trade – their profit of 12% from that year. That being said, Druckenmiller essentially trades like a sniper taking a shot. He believes that timing and good entry are everything, and the ability to be flexible if the market changes. It is this philosophy that has helped him to garner his tremendous success during his career. Born in 1956, Bill Lipschutz was raised in Farmingdale, New York. He attended Cornell University and received a Bachelor’s degree in Architecture from their fine arts programme, and also a Bachelor’s degree from the Johnsons School of Finance (also at Cornell). During his college years, he inherited money after his grandmother’s death, $12,000 worth of stock, which he liquidated. He began investing this money in his free time. He basically learned as much as he could about the financial markets from the library, and used this information to turn the $12,000 into almost $250,000. This success was unfortunately short lived however, as one bad trading decision wiped out the entire risk capital. He used this as a learning opportunity however, that he would apply to any investing that he would engage in, in the future. Lipschutz began working for Salomon Brothers while studying for his MBA, after which he was put into the new foreign exchange department. He became a part of the team that Salomon Brothers formed for their traders to learn currency trading, and it found them success. The Salomon Brothers made great profits from Bill Lipschutz, as he became one of the five successful forex traders in the world, at the time. He was earning $300 million per year for the Salomon Brothers by 1985. He was the principal trader for the foreign exchange division from 1984 until he left in 1990, and was appointed a Director post at the company. He opted for early retirement from Salomon Brothers, but came out of this retirement and has since been working with the Hathersage Capital Management as Director of Portfolio Management since 1995. For his trading philosophy Bill Lipschutz suggests taking things one trade at a time. Unlike other traders that encourage others to open two or three positions at a time, Lipschutz believes that time also plays an important risk factor in a trade because it limits the trader’s ability to take advantage of other opportunities. He believes that taking one position at a time allows for a trader to gain consistency. He believes that “If more traders would sit on their hands 50% of the time, they would make more money”. Because the longer a trade is open, the more it is vulnerable to outside forces, Lipschutz suggests ensuring that the reward is much higher than the risk you are taking for the trade. He suggests that a good risk reward ratio for short term trades is 3:1 and that for long term trades look for a ratio of at least five to one, where your reward would be five times greater than your risk. Bill also believes that having a passion for trading itself is the right way to approach forex trading. He believes that to be successful, a trader must stop focusing on earning money and rather, on perfecting the process. The profit will be a by-product of your success. Another one of the successful traders in forex is Andrew Krieger. He also made a fortune trading the major currency event, Black Wednesday. Known as one of the most aggressive currency traders, he joined Salomon Brothers after graduating from Wharton. He then moved to Banker’s Trust in 1986, where he established his reputation in the company as a top trader. Because of this, the company increased the capital limit that he traded to $700 million (where the typical limit was only $50 million). It was this that allowed him to be able to take full advantage of the Black Wednesday event, where he shorted the entire money supply of New Zealand (because of New Zealand’s small economy) and made off with a profit of about $300 million for the Banker’s Trust. He collected a relatively ‘small’ bonus of $3 million for his efforts, which prompted him to resign from the company and seek employment with George Soros. Born in 1945 in Brooklyn, New York, Bruce Kovner, is the last of the top five forex traders in this list. He studied political economy at Harvard University and engaged in a number of activities like political campaigning, writing, and cab driving before discovering commodities trading. It was in 1977 that he made his first trade, a soybeans futures contract that he bought by borrowing against his own credit card. The trade realized a profit of about $40,000 but Kovner watched it decline to almost half that amount before deciding to sell the contract and close the trade. This taught him a valuable lesson in risk management that shaped him into the trader that he became. During his eventual employment at Commodities Corporation, he reportedly made millions in profits for the firm, which bolstered his reputation as a cool headed and objective trader. His successes led to him founding Caxton Associates in 1983, a fund which managed over $14 billion in its peak years. Like previous traders on this list like Soros, Kovner also uses macroeconomic fundamentals to trade, however unlike the others he heavily uses technical analysis as a tool to execute his trades. He meticulously observes global economic reports, in order to determine information consensus that the market is not confirming on the charts. He then exploits this. He believes that technical analysis is a crucial component to any fundamental approach to trading, and is known for his ability to hold long trades with conviction. He is also a stickler for risk management and this includes always having predetermined stops on his trades. He firmly believes that a trader should be willing to make mistakes and to learn from them. If we can learn these things properly, then we may just be one step closer to following their remarkable successes.